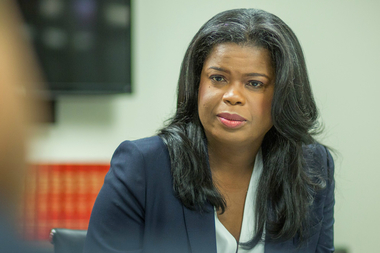 Cook County State's Attorney Kim Foxx announced her pick Thursday. File photo. CHICAGO — Cook County State's Attorney Kim Foxx has tapped longtime lawyer Mark Rotert to head the county's Conviction Integrity Unit. "I am committed to ensuring that we rigorously examine our work and actively seek out and correct cases of possible wrongful conviction,” Foxx said in a statement Thursday. Rotert brings to the table more than 35 years of experience as a trial lawyer, according to Foxx's office. He previously served as an Assistant Attorney General, an Assistant U.S. Attorney and a partner at several private firms. To date, Rotert has prosecuted murder and corruption cases, and served as a criminal defense attorney. As director of the Conviction Integrity Unit, Rotert will review claims of innocence and wrongful conviction throughout Cook County, Foxx's office said. The claims must involve a living person who's been convicted within county limits. Cases could stem from letters, post-conviction filings, media investigations, internal sources and the work of innocence projects, according to Foxx. "My goal is that the recommendations made by the unit have a reputation for fairness and reliability," Rotert said in a statement. "I commit to coming to each case without bias or assumptions, and to making decisions based only on the law and the facts." Foxx said she was impressed by Rotert's "sound judgment, exemplary reputation, and thoughtful and thorough approach." He has consistently been named as one of the Top 100 attorneys in Illinois by Chicago Magazine since 2012. Earlier this year, a double-murder conviction in a 1994 case was tossed after Foxx's office said it could no longer support murder charges against two men who'd been imprisoned for more than two decades. The case hinged largely on witness testimony obtained from Reynaldo Guevara, the disgraced former detective accused of routinely framing people for murder.